Feel better with consistent practice. I am tickled that all of my classes are filled with kind and welcoming people who support one another with humor and compassion. It’s delightful to watch friendships form as well as hear my students “talk back” to me during class. We have a relationship of mutual respect with many experts from various fields in our classes. While we practice, I encourage questions and love all answers! Join us! We’d love to meet you and get to know you. 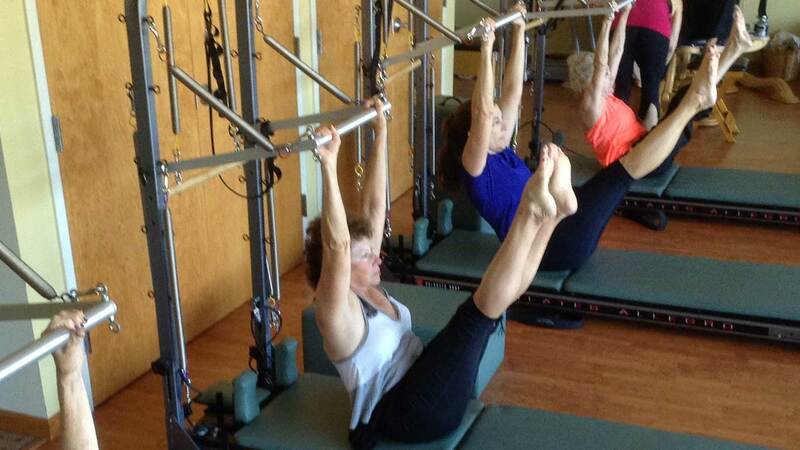 Join us in a Yoga, Pilates, or Franklin Method class in Jacksonville, FL. We celebrate every day that we can move pain free with full range of motion. Join us in a movement class in Jacksonville, FL. Enjoy all the things you love about your life. Take time for you. An awesome class for those who prefer limited weight bearing on hands and a unique experience. We use a variety of props from yoga wall ropes and yoga chairs for our practice. As well, we incorporate a additional, unique small props to help you feel the difference. This class is suitable for those recovering from an injury or special condition with medical team approval. Furthermore, seasoned athletes enjoy the practice to help restore optimal function, increased length, and safe exploration through range of motion. An aware-filled flow built around a physical action combined with a heart-based philosophical theme. This class is best suited for students who are comfortable weight bearing on hands and getting up and down from the floor repeatedly through a sequence of poses. A serenely beautiful studio combined with chill music and artful cueing makes a very sweet class where you may explore your unlimited potential. Connect to your core. 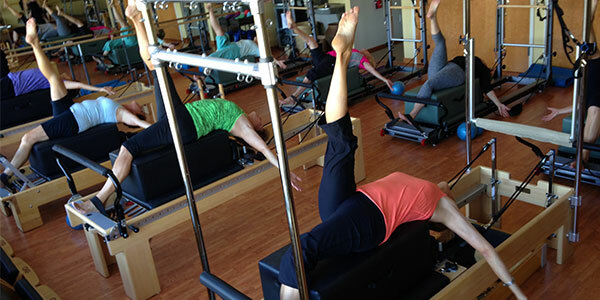 On Pilates equipment, learn the direction of the movement. Heal your body from the inside, out. The Cadillac is an incredible multi function apparatus. 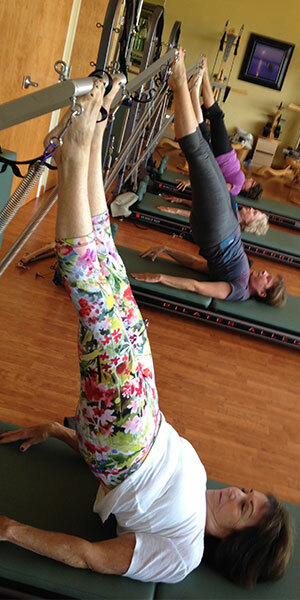 Its therapeutic beauty is in the diversity of exercise options. As well, the challenge of the Cadillac is inherent in its design. 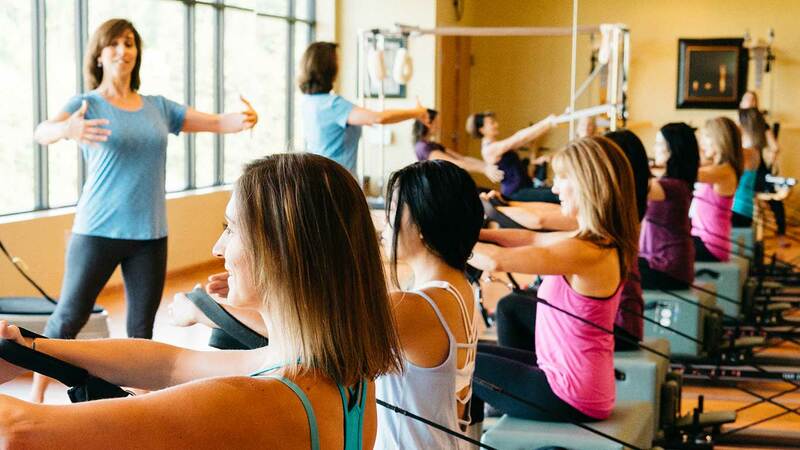 In order to join our unique group classes, you must have Pilates Equipment experience and be cleared by the studio to join. Contact me if you are interested. We can do a few privates and roll you into group class. 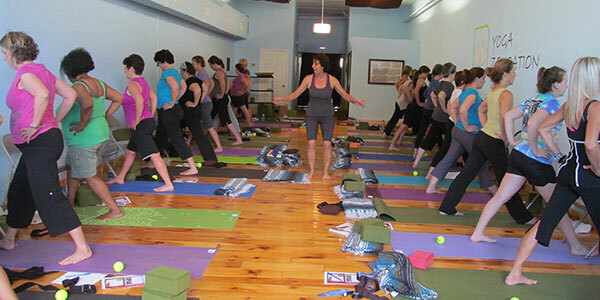 8 a.m. and 9 a.m.
Join a dynamic group of practitioners. 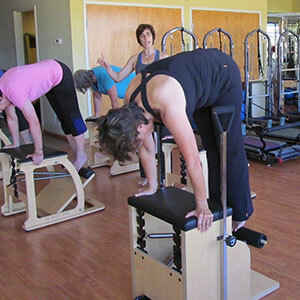 We laugh a lot in this classes as we work on “ideas” like pelvic lumbar stability and healthy hip joints using Pilates Reformers, Arcs, Chairs and a variety of small props. You do need to be cleared by the studio to join classes. Contact me if you are interested in joining these classes. I am happy to schedule a few privates with you to get you started on a fantastic experience at a warm and welcoming studio. Stay tuned for Franklin Method classes coming to Jacksonville, FL in 2019. Get ready to use your mind to improve your physical function. The Franklin Method uses our greatest asset – our mind – to change our movement. Dive deep into anatomy and function in a fun and playful way while “working in” to work out. Read more about Franklin Method. Her encouragement, strength, and Lisa's knowledge will help anyone who signs up for her classes. Want to learn how to feel better right now? Check out articles in these categories.